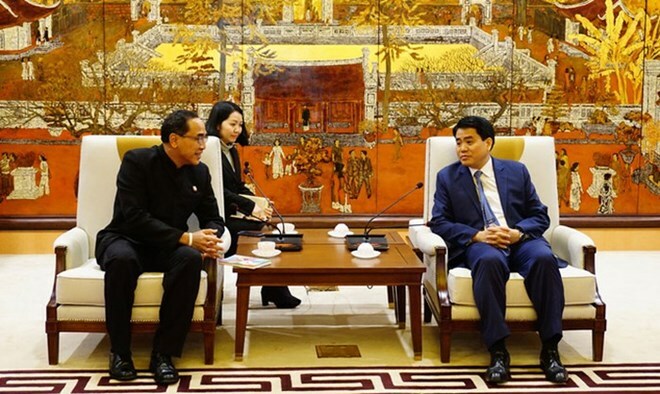 (22 January 2019) Hanoi wishes to establish twining ties with Bangkok, said the Hanoi People’s Committee chairman to the Thai ambassador to Vietnam during a reception for the ambassador in Hanoi on January 21. The chairman said that such a relationship would expand cooperation between the cities in many areas. He further committed to support cultural exchanges and investment between the cities, as well as promote Thai goods in Hanoi. In turn, the Thai ambassador shared the city’s plans to host several activities in Hanoi this year, such as the Thai cultural festival in Ly Thai To garden and the Thai film festival in Hanoi Opera House. He too expressed his wishes to see both sides work more closely together in future. (19 January 2019) The Thai Ministry of Commerce hosted a business matching event with Vietnamese firms in Ho Chi Minh City on January 18 as part of a roadshow to promote two major trade fairs to be held in Bangkok later this year. 400 companies are expected to exhibit their products to over 14,000 visitors at the Bangkok Refrigeration, Heating, Ventilation and Air-Conditioner Fair (Bangkok RHVAC) and Bangkok Electric & Electronics Fair (Bangkok E&E) on September 25-28. According to a senior ministry official, Thailand is the second largest manufacturer of air conditioners and fourth largest manufacturer of refrigerators in the world. 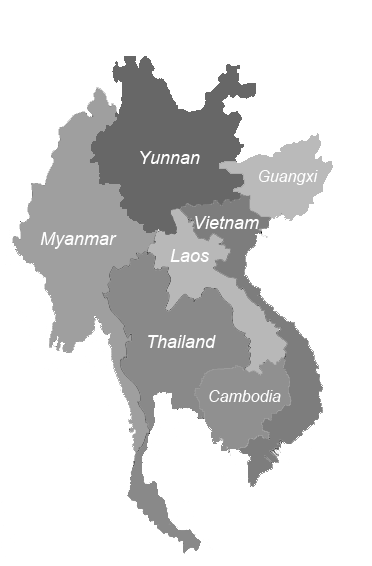 It mainly exports electrical and electronic products to Southeast Asia, while Vietnam mainly imports air conditioners from it. (22 January 2019) The Yangon Stock Exchange (YSX), now three years old, remains quiet due to low daily trading volumes and few companies willing to go public. The YSX started in 2016 with only three firms listed, the number then rose to four in 2017 and five in 2018. Furthermore, the volume and value of trades executed declined last year, a phenomenon that Myanmar deputy finance minister U Maung Maung Thein said was “not a positive sign.” As such, the government will need to take steps to re-energise activity on the exchange. For instance, the Securities and Exchange Commission of Myanmar confirmed that regulations to allow foreigners to participate in the local stock market have been submitted to the Ministry of Planning and Finance and is near conclusion. (22 January 2019) The model market project on the Cambodia-Vietnam border known as the Da Market will be completed by April this year, according to the Cambodian Ministry of Commerce’s state secretary. The new marketplace, which was funded by a US$2 million grant from the Vietnamese government, will occupy over 19,500 square metres in the Thary Tbaung Khmum Special Economic Zone in the province of Tbaung Khmum. The model market is expected to facilitate trade between the two countries, help traders expand their network and reduce poverty on both sides of the border. (21 January 2019) The European Union’s (EU) re-imposition of tariffs on Cambodia’s rice exports are neither a surprise nor a great concern to the Cambodian government, said the Cambodian Ministry of Commerce’s state secretary. His statement was made in response to the EU’s announcement last week that it would levy US$199.5 per tonne of imports of Cambodian rice in the first year, US$171 in the second year and US$142.5 in the third year. While such safeguard measures are common among World Trade Organisation (WTO) members who wish to protect local producers, the state secretary said that they are in the process of verifying the EU’s claims that their rice exports were indeed in direct competition with products in Italy and Spain. He further claimed that the EU’s decision was “not fully in agreement with international law and scientific proof, and does not accurately reflect social and economic realities.” As such, the Cambodian government is looking to build a case against the tariffs.